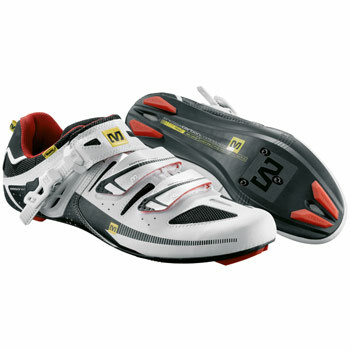 I used these as my commuting shoes for over a year and they worked okay and were a good value for the price. Overall, I felt like the studs on the front and rear of the shoes wore down too quickly. The tops were plenty durable and the buckle survived one crash... but it wouldn't have been damaged at all if it didn't stick off the side of the shoe so much. 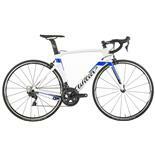 Sole stiffness is okay for the price, but I noticed a difference when I switched to Specialized Expert Road Shoes. 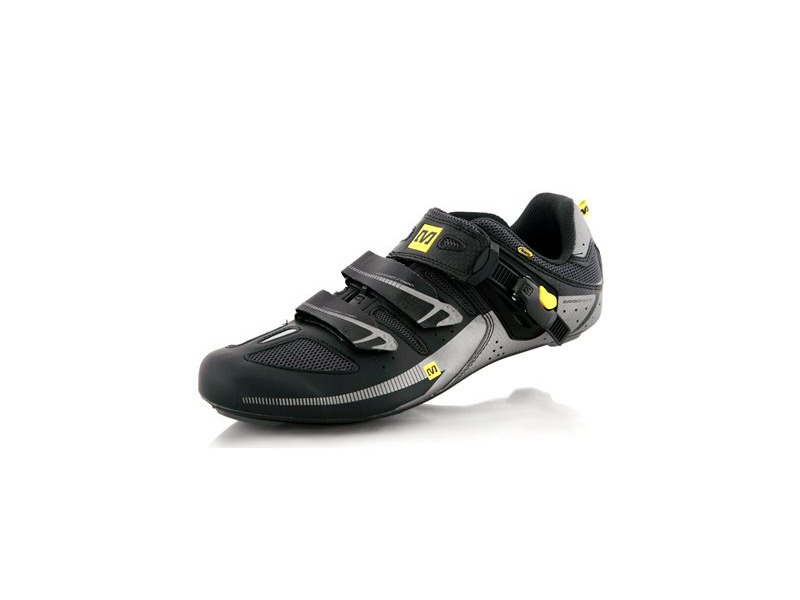 Great first shoe for a new road rider. -The toe gets really damaged very quickly when unclipping as resting the foot down at traffic lights. There are two plastic protectors on the front (and back), but they do not extend far enough over the toe, and things get really scuffed up even after a few rides. -They seemed to get stinky a lot faster than other shoes I have used in the past; I know we have to keep our shoes clean, but this was very rapid. 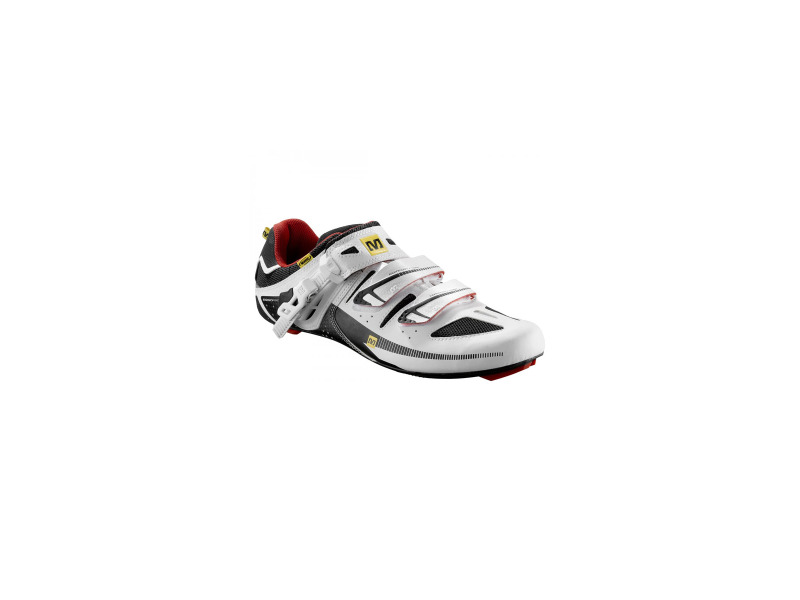 -The threads where the cleat attaches are really weak. I stripped one out without even applying that much torque. Bought these in White in the middle of April 2010. First impressions were good; the fit is nice, and they don't take long to get on / off. Riding them feels nice, and responsive. Nothing to complain about there. The build is not 100% though, and there are some design flaws that have massively reduced the life of these shoes for me. They are true to size, if not, a tad long. 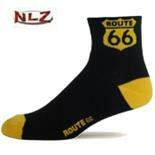 The combination of good charateristics and an affordable price make this shoe unbeatable in my book. Perhaps a stronger heel cup to increase the feel of connectivity. 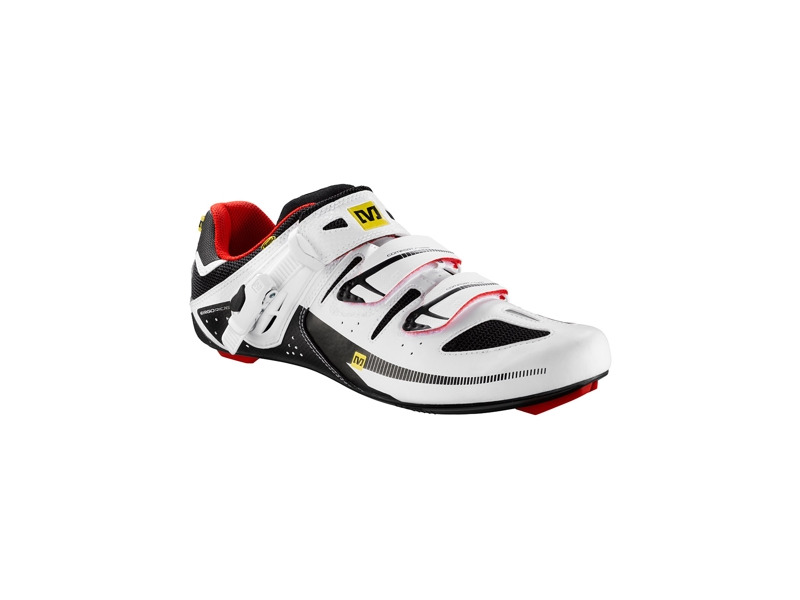 Maybe a thicker/stiffer sole? I was mildly hesitant about this shoe. For about 5 or 6 years, I have been riding Diadors shoes exclusively. I've narrow feet and a high arch. My Diadora have always fit pretty perfect. But I wanted something new, inexpensive, nice looking, breathable, good fit, stiff, and quality construction. 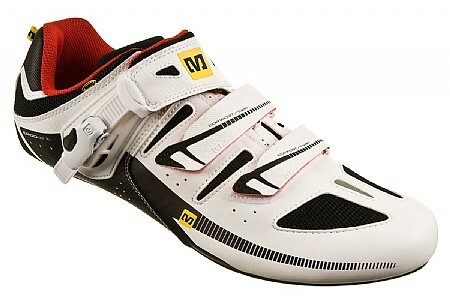 That is a very lethal combination to "inexpensive" in the world of cycling shoes. Can I get an 'Amen!'? 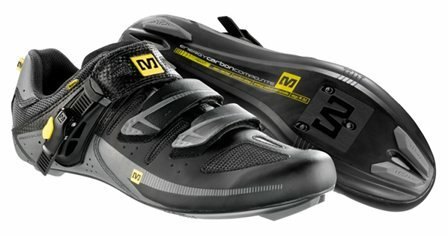 I tried a high end pair of TIME shoes before the Mavic's. 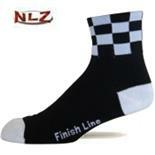 If you have narrow feet, stay away from TIME! If you have feet shaped liked overstuffed snausages, buy TIME. Anyway, I stumbled across a review of the Mavic's. It was a decent review. What drew me in (other than the national color of those involved in overt attempts to be stylish in cycling, white)was the talk arrow narrow profile. Sweet heaven! These shoes are a godsend for those of us with narrow feet. The shoes are snug but not binding. As always, for me, a 2 velcro strap/ratchet buckle are an excellent retention combo to measure out a personalized fit level. 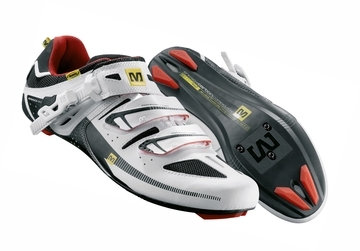 Considering my high arch, the velcro straps are indespinsable in relieving a top foot, hot spot on long rides. The ratchet helps immensely in securing the heel (this is a true necessity for this shoe's low profile). 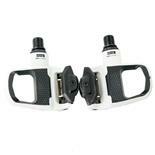 I have not experienced any slippage on: hot days, long rides, out of the saddle climbing. The sole is stiff. I didn't experience any real flex or perceived loss of power. But I believe a thicker/stiffer sole lends more to comfort. I may not feel power loss in transferring power to the pedal. My gauge is a quicker feeling of foot fatigue over time. It's negligible at worst. The Avenir is a comfortable shoe in the hottest of weather. I was concerned that the lack of obvious venting (compared to Diadora) would work against me in 97F degree weather at about 70% humidity. The Avenir provides good air flow. The keys here are the synthetic/mesh material upper combined with sole venting. It performs nicely. The ability to clean up this shoe is a GREAT bonus. It's white (MAVIC offers a black, also) so cleaning is a concern. I have been caught out in the rain twice and ridden in some wet conditions. In all instances, the shoe cleaned up beautifully with warm, soapy water. By comparison, the very first time my white Diadoras got dirty; I couldn't return the luster. This is a solid shoe. If you want ultra light weight, exotic materials, or show off status, look elsewhere. 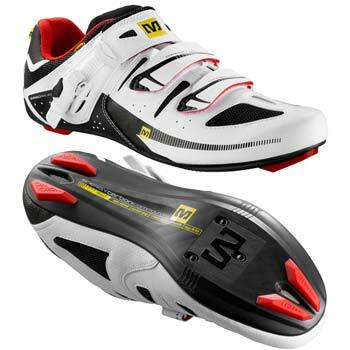 If you want a great looking, good fitting, stiff, quality shoe for not a lot of dough, buy this shoe. 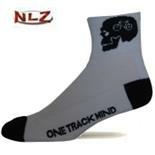 I will be ordering the black pair for winter riding.